The carpets in your home undergo a huge amount of wear and tear, however, our carpet cleaning services provide an efficient and easy means of making them look like new for years to come. We utilise the latest steam cleaning technology to get rid of the dust and grime that settles in your carpet, meaning you have cleaner air in your home and a healthier living space. 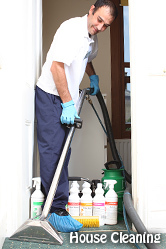 By utilising the experience of our carpet cleaning experts, as well as our environmentally-friendly technology, are services are both professional as well as easy on your home and the environment. All our staff are reference and background checked. We use fabric friendly chemicals ensuring that whilst we can deal with all manner of stains, your carpets and upholstery is protected and stays cleaner for longer. Our staff are ready to help you any day of the week, including weekends, we can even provide our services on the same day as you book them. We do not believe in adding surcharges for weekend and evening books and are carpet cleaning prices are amongst the best in the industry. Give one of our friendly staff a call today to receive a written quotation and make your carpet cleaning appointment today. Don't forget to ask our friendly operators about some of the other services we provide like our professional window cleaning or upholstery cleaning. 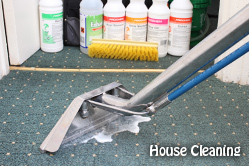 Give us a call on 03 8652 1022 or use our online form Get Carpet Cleaning Now. All it takes is five minutes and you can have the piece of mind of knowing your carpets are going to cleaned and your home is going to be healthier and more comfortable.